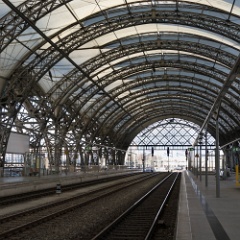 1 Dresden Hbf looking west. 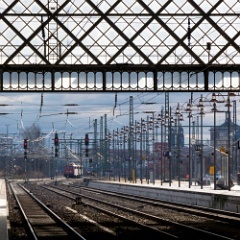 2 Dresden Hbf looking east with DB class 140s and a czech class 371. 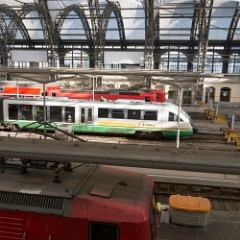 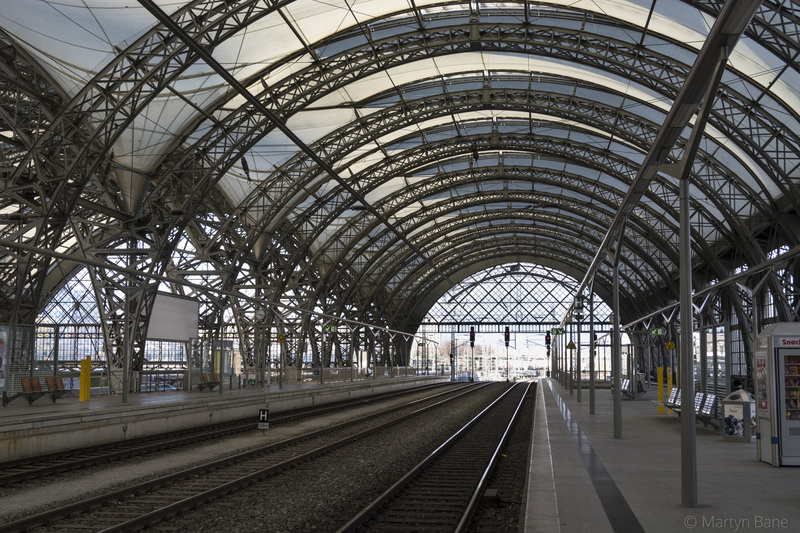 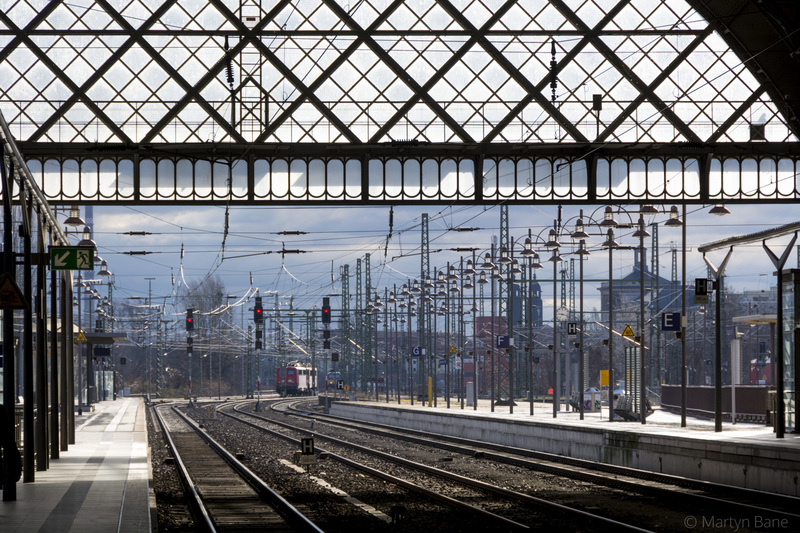 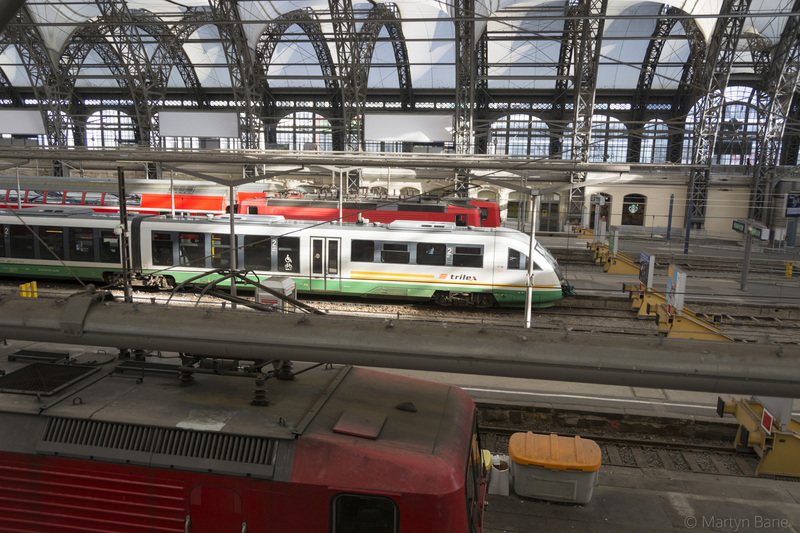 3 Trains in the low level platforms at Dresden Hbf. 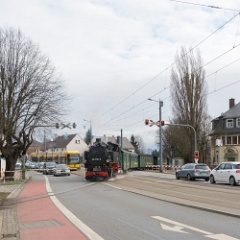 4 An S1 service, Meissen bound, at Radebeul Ost with 146 010 propelling. 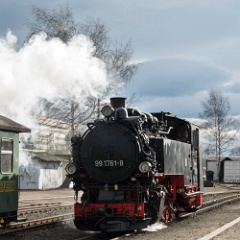 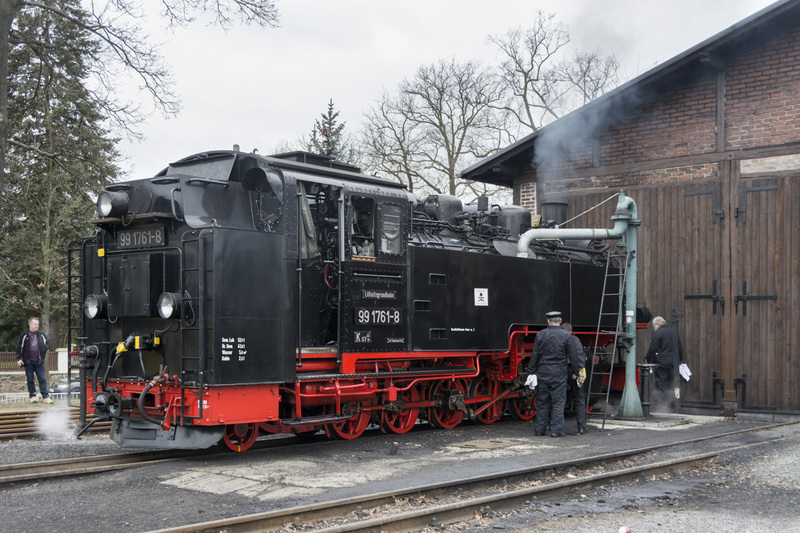 5 Display loco 99 791 at Radebeul Ost. 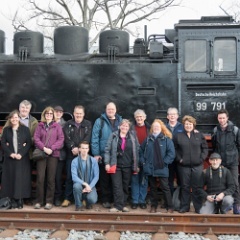 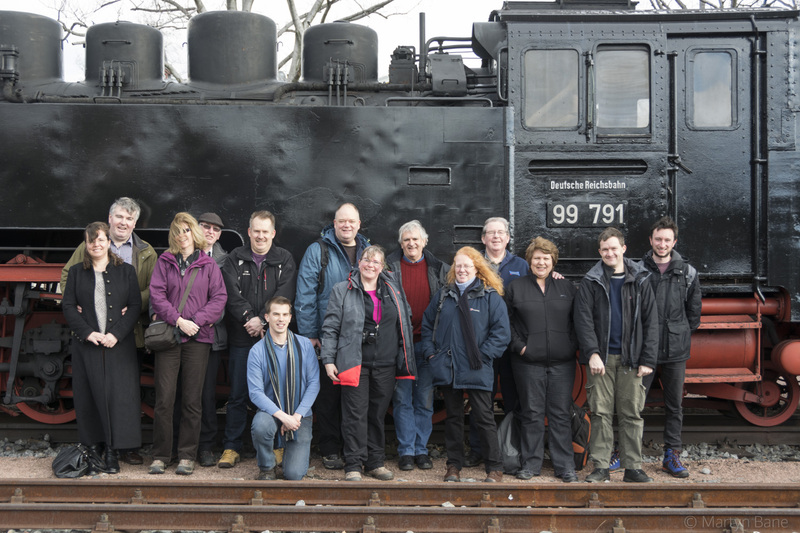 6 The tour group minus the tramp and the photographer. 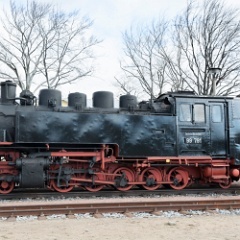 7 And with the photographer. 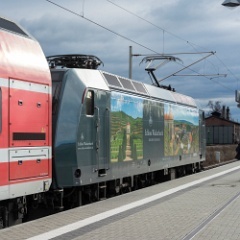 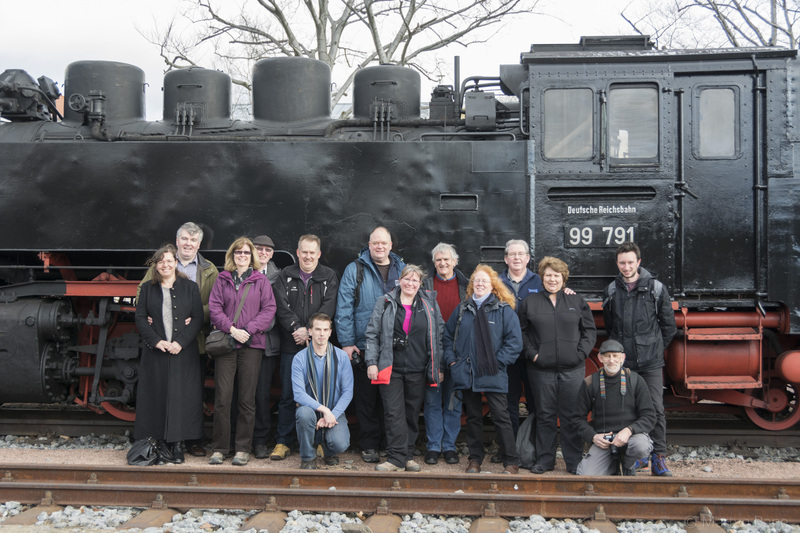 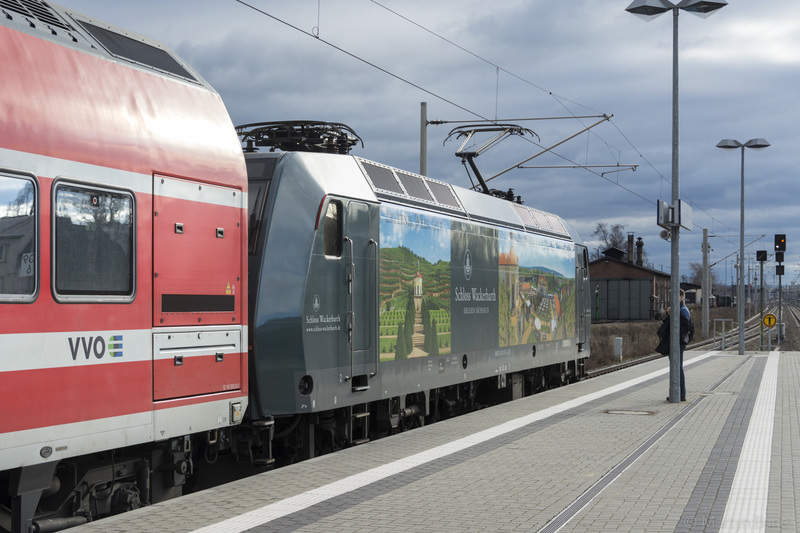 8 Coaches in various states of repair at Radebeul Ost. 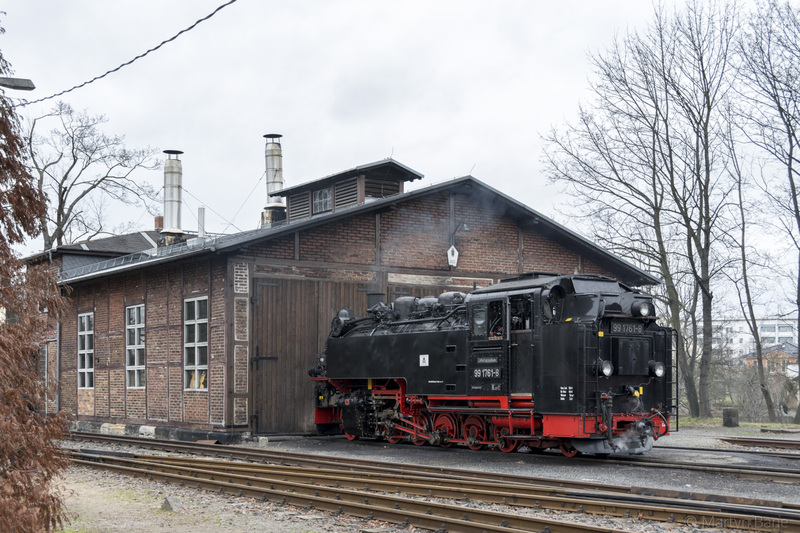 9 VIIK Alt 2-10-2t 99 1761 comess off shed at Radebeul Ost. 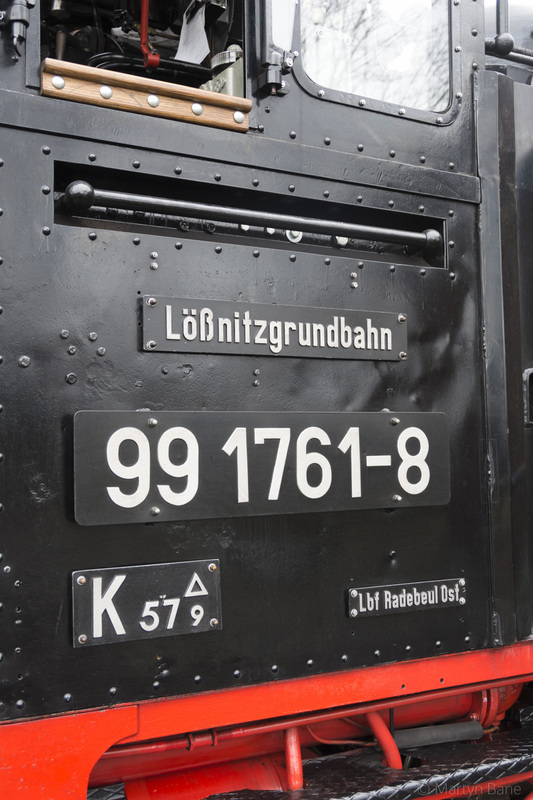 10 99 1761 alongside a coach bearing the name of this line - the Lossnitzgrundbahn: the Lossnitz Gorge Railway. 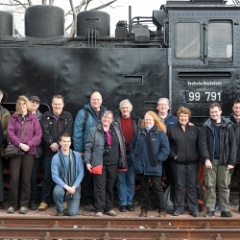 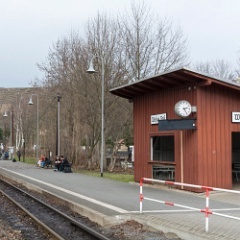 11 At Radebeul Ost, a station much rebuilt since my first visit in 1996. 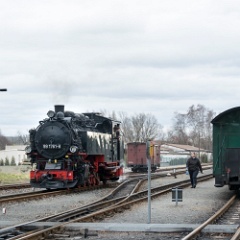 12 99 1761 runs-round at Radeburg, the line's terminus. 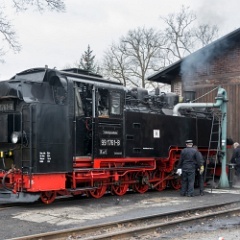 13 99 1761 runs to shed for water at Radeburg. 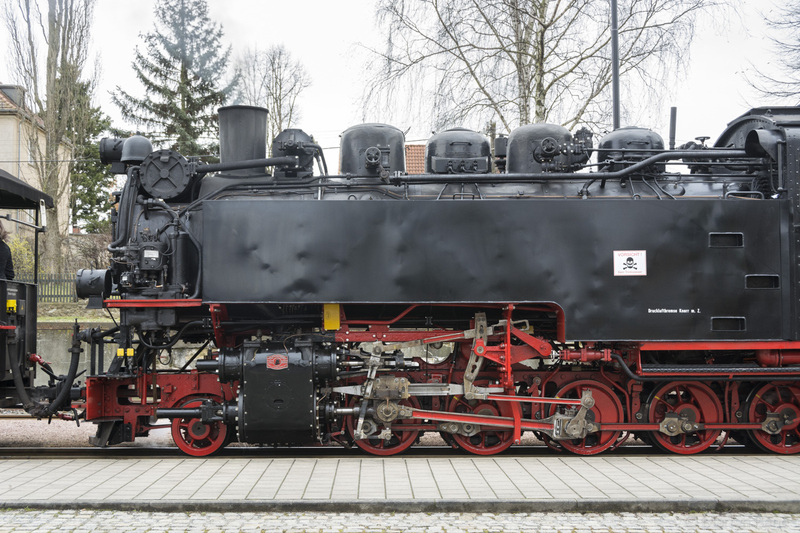 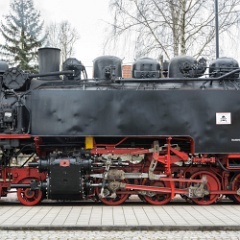 14 99 1761's front end with various Einheitslok features. 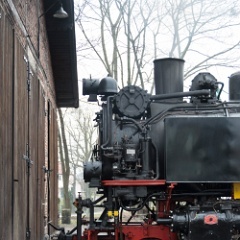 15 99 1761 takes water and gets a check over at Radeburg. 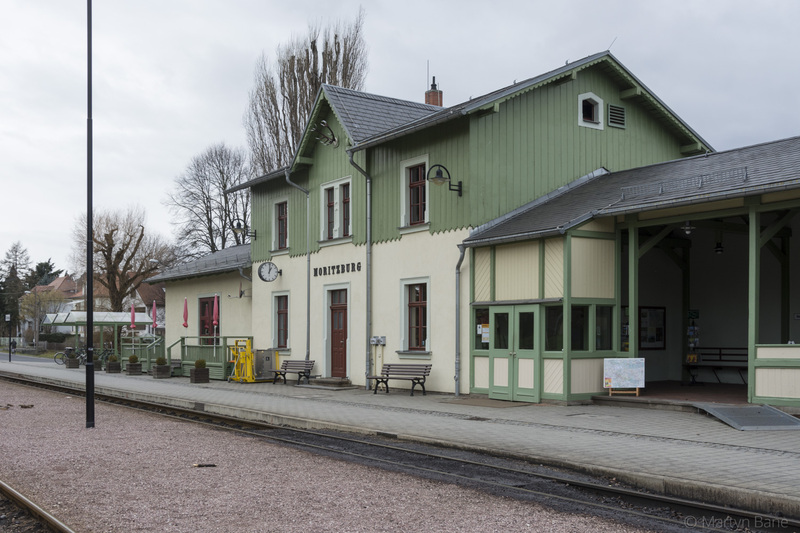 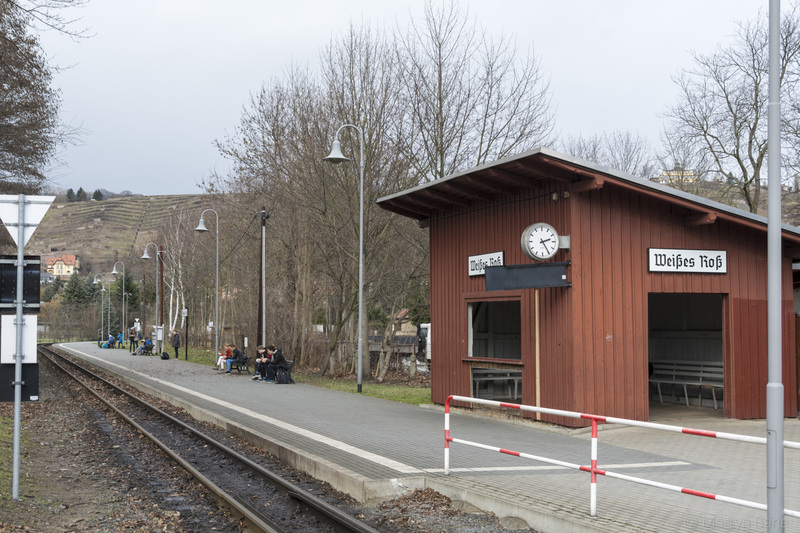 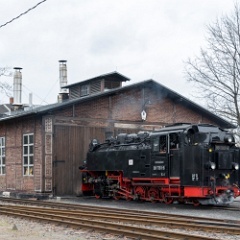 17 99 1761 at Radeburg. 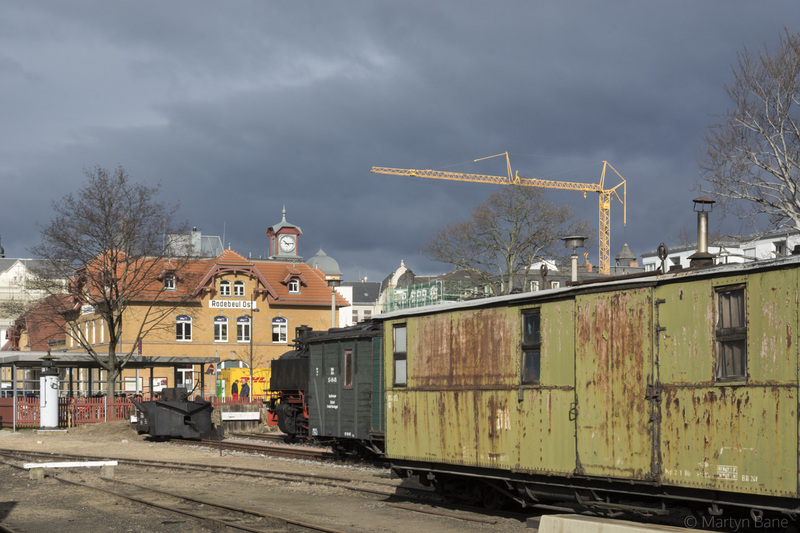 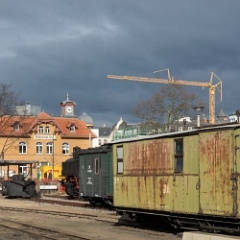 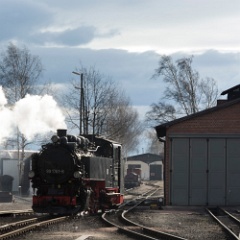 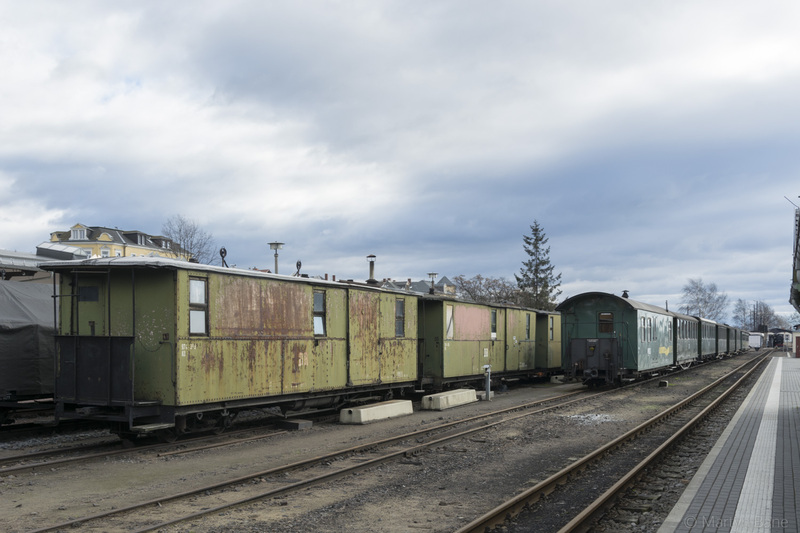 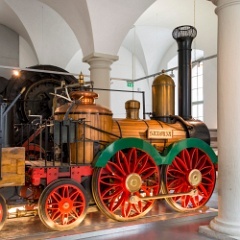 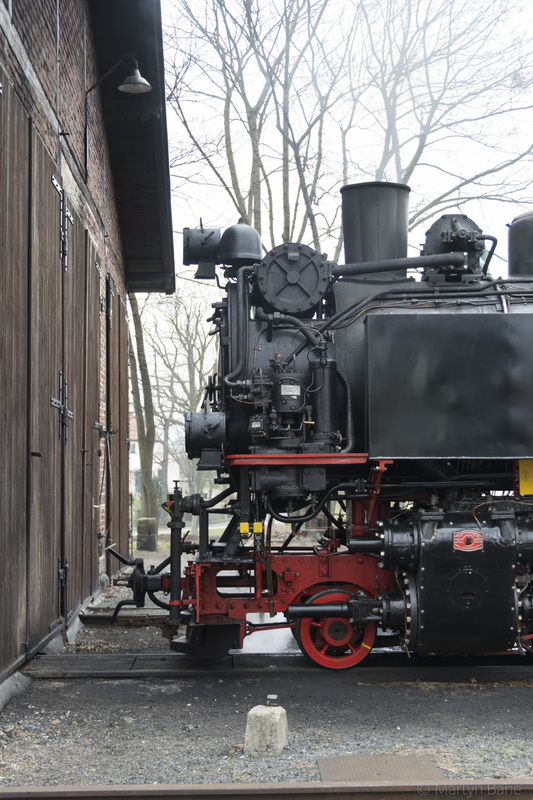 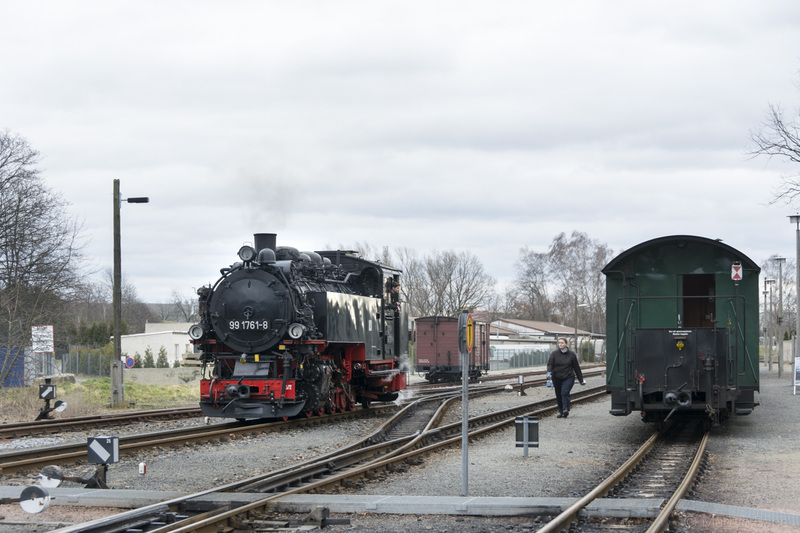 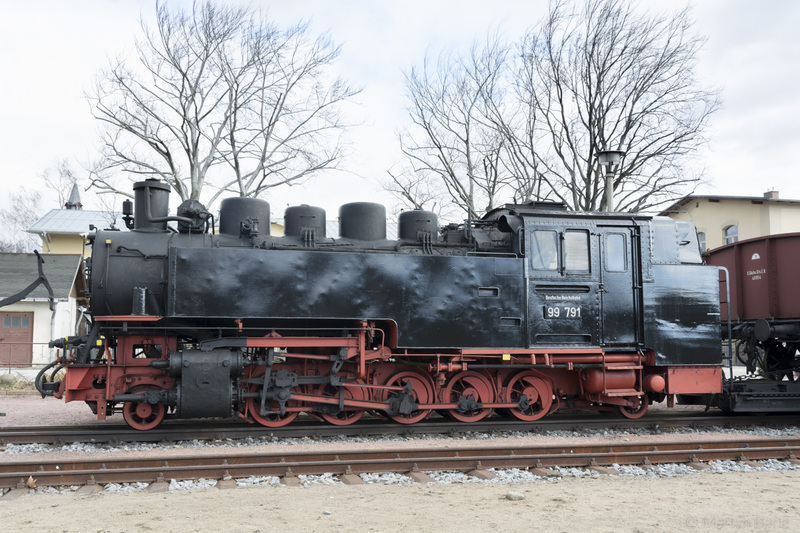 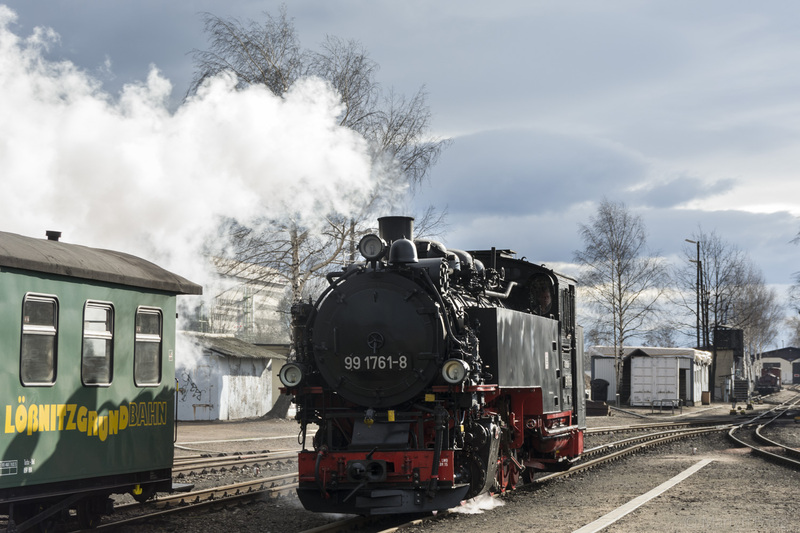 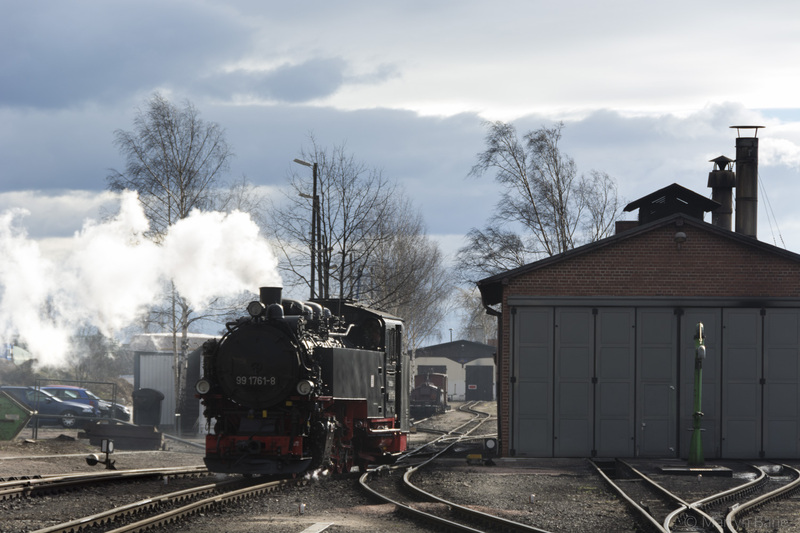 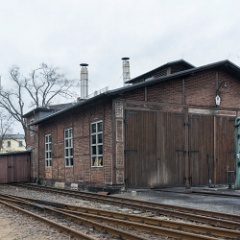 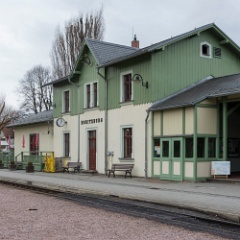 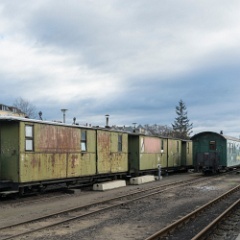 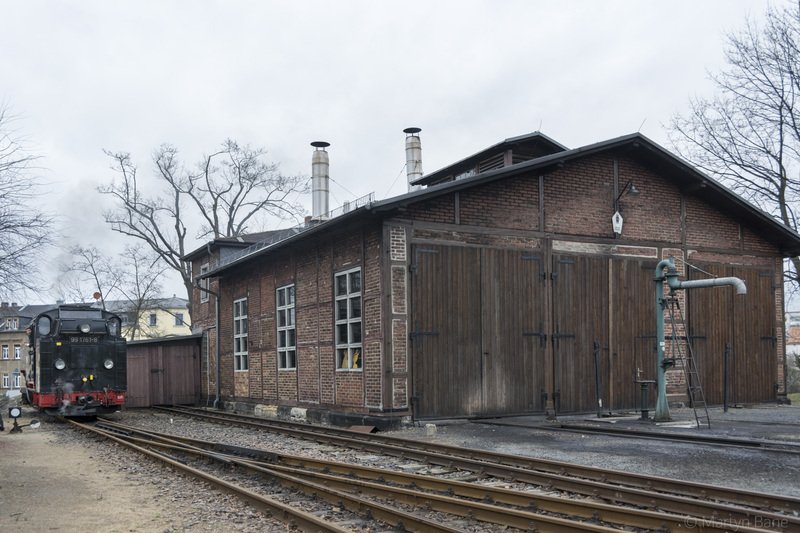 The shed contains two IVk Meyer 0-4-4-0 tanks used on the line's Tradzug. 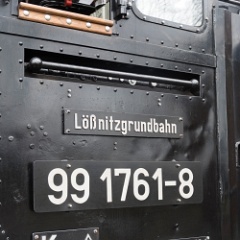 18 VIIk Alt detail, taken at Moiritzburg. 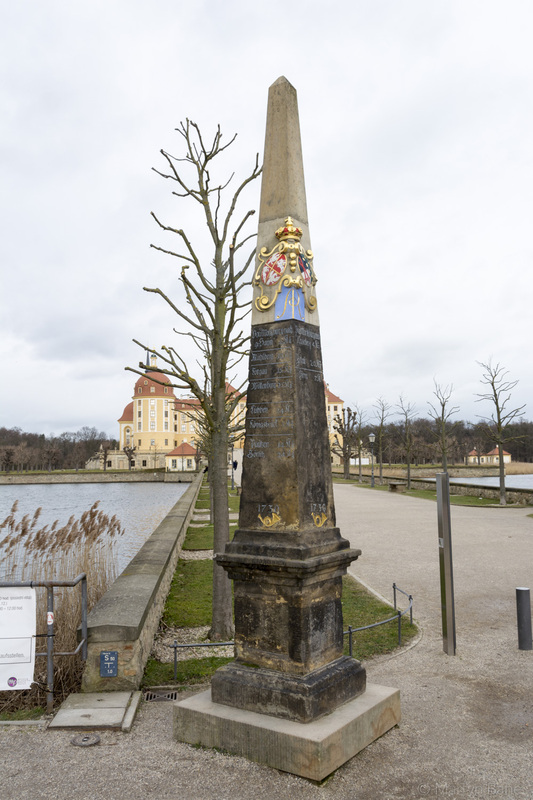 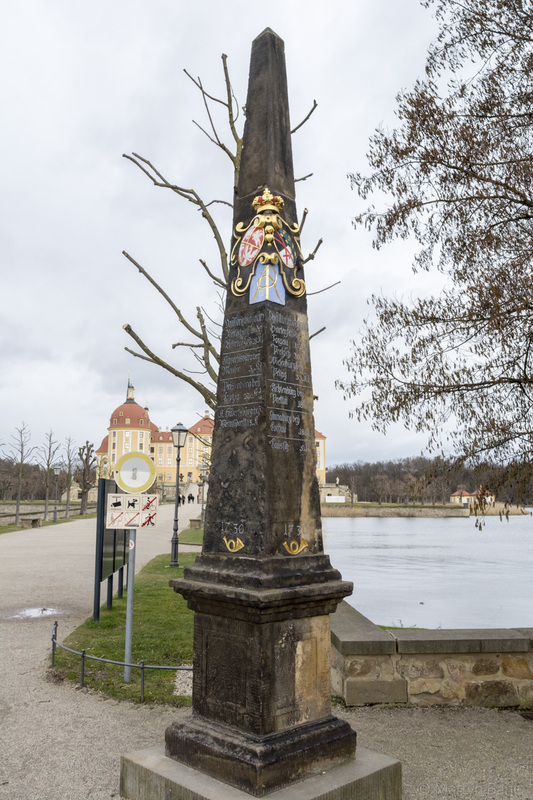 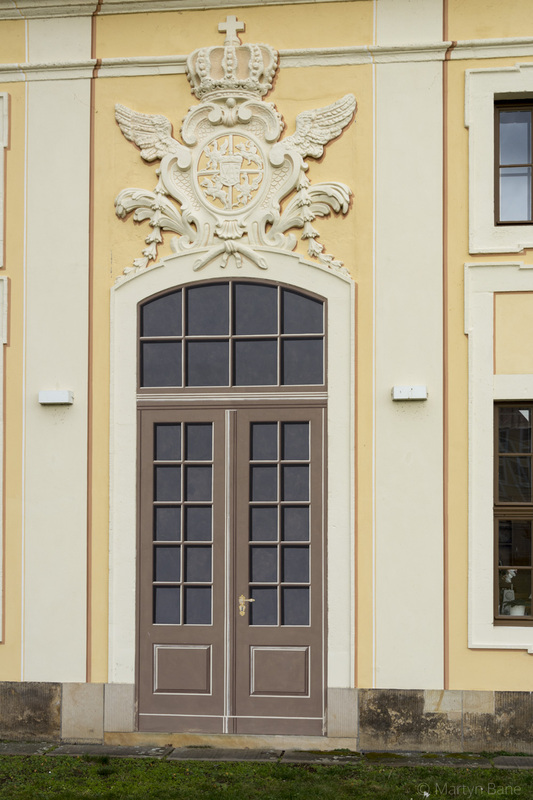 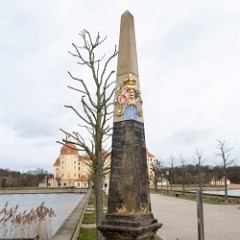 20 At the entrance to Moritzburg Castle. 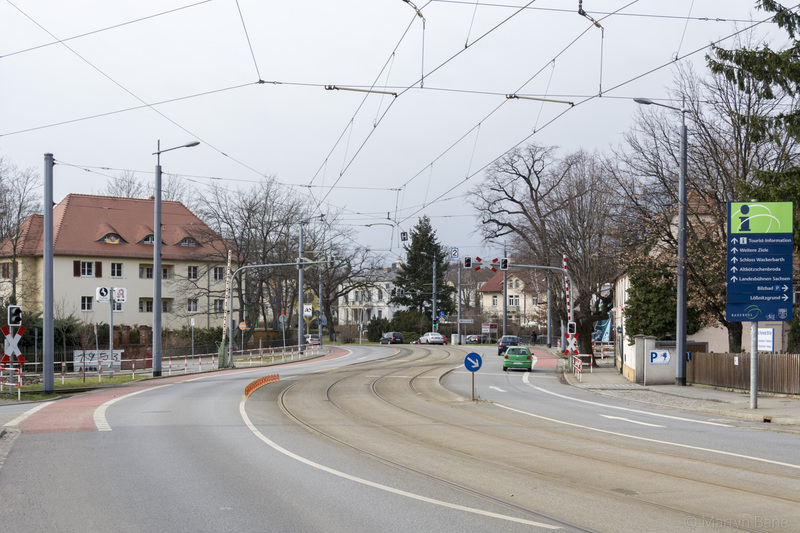 21 And on the other side of the entrance road. 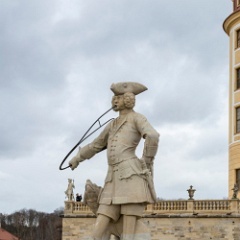 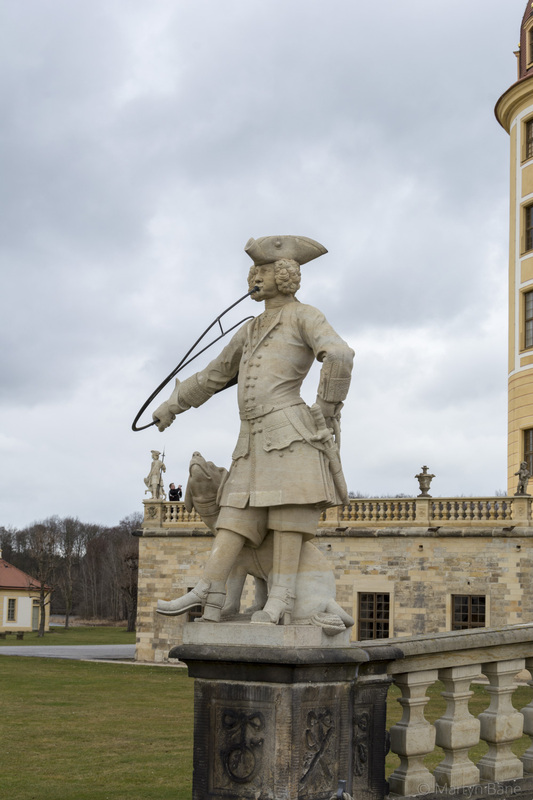 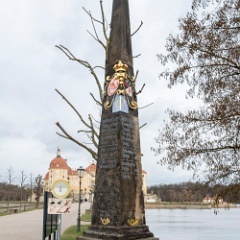 23 A musical statue at Moritzburg Castle. 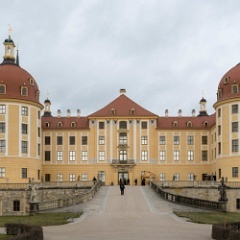 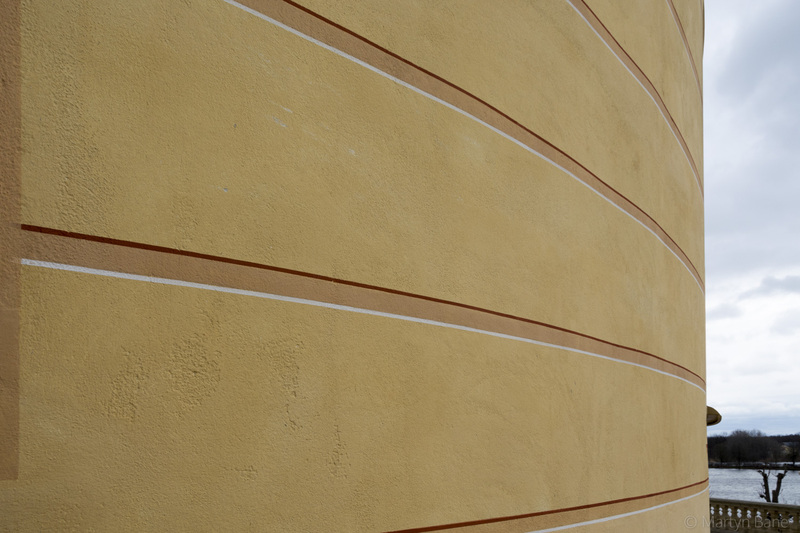 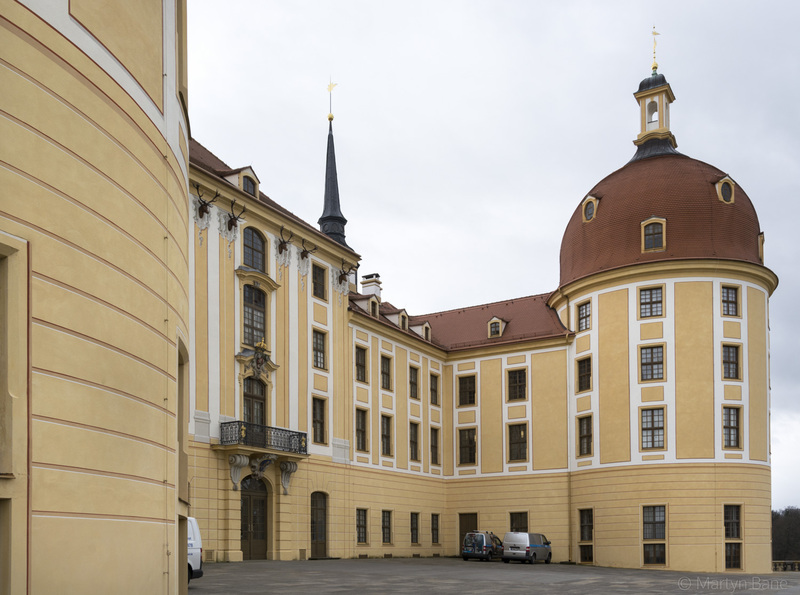 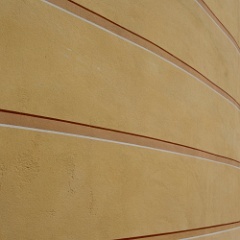 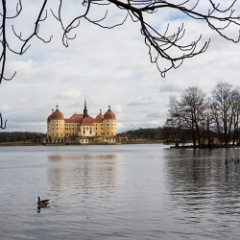 24 The walls of Moritzburg Castle are painted, which only becomes clear close up such is the quality of the painting. 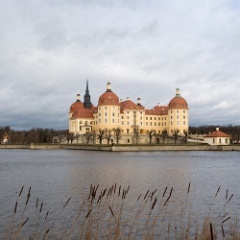 25 Around the back of Moritzburg Castle. 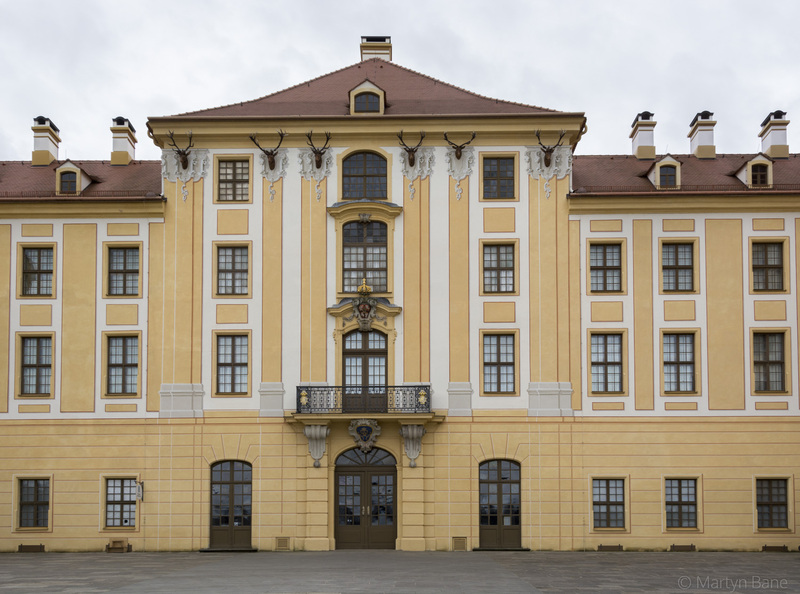 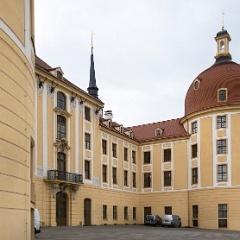 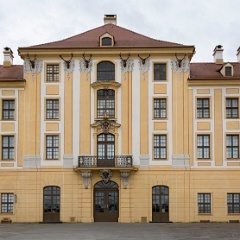 26 The rear of Moritzburg Castle. 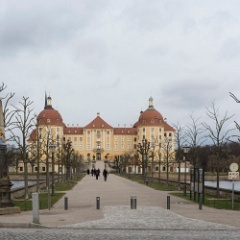 27 In the gardens around Moritzburg Castle. 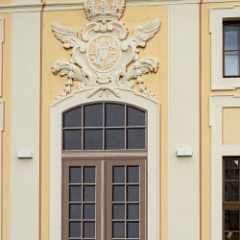 28 An entirely false doorway. 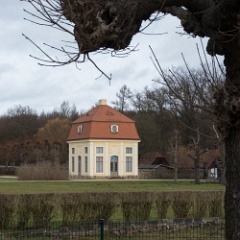 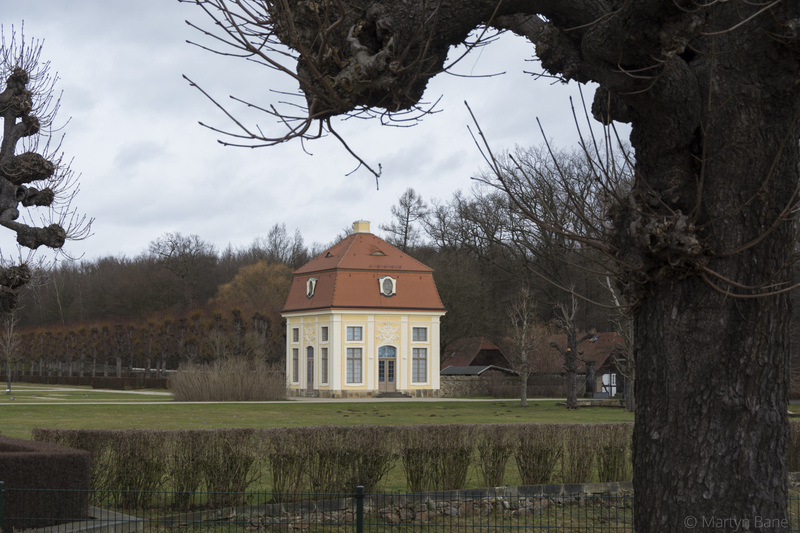 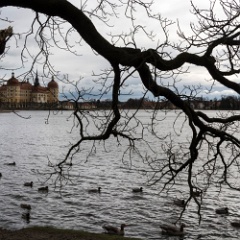 30 Moritzburg Castle through the trees. 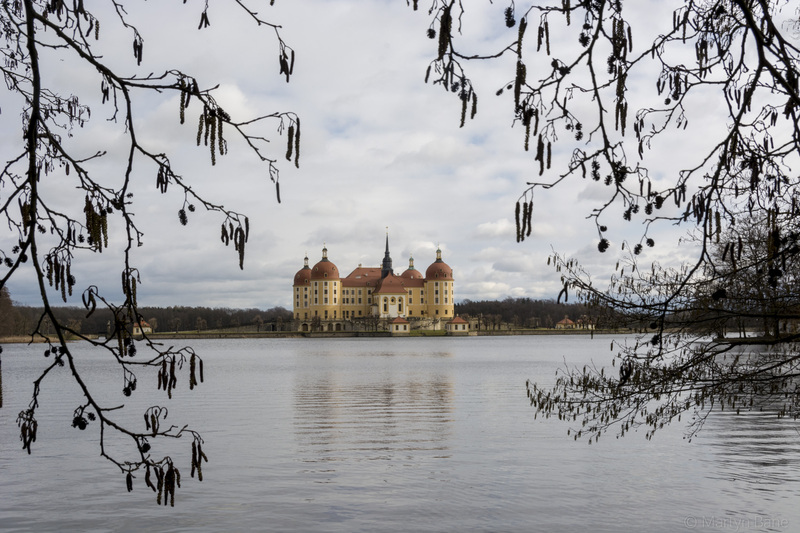 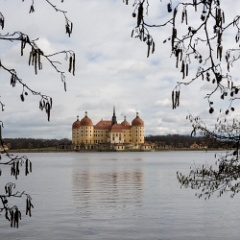 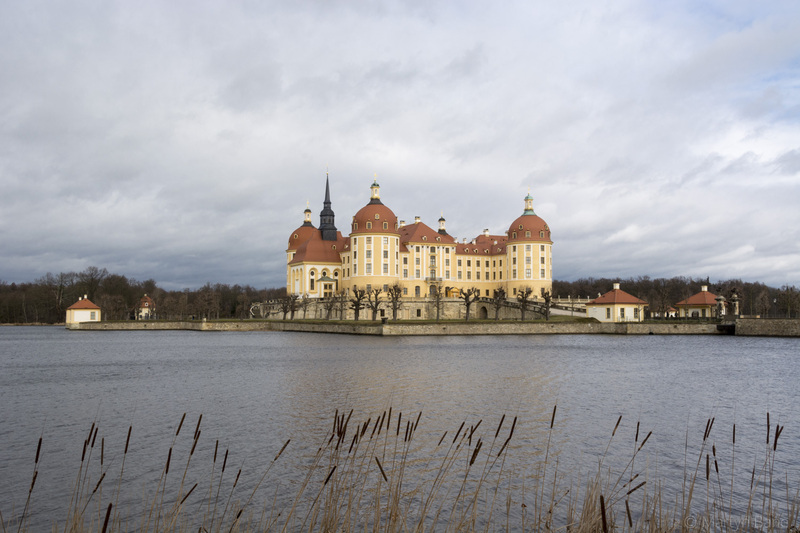 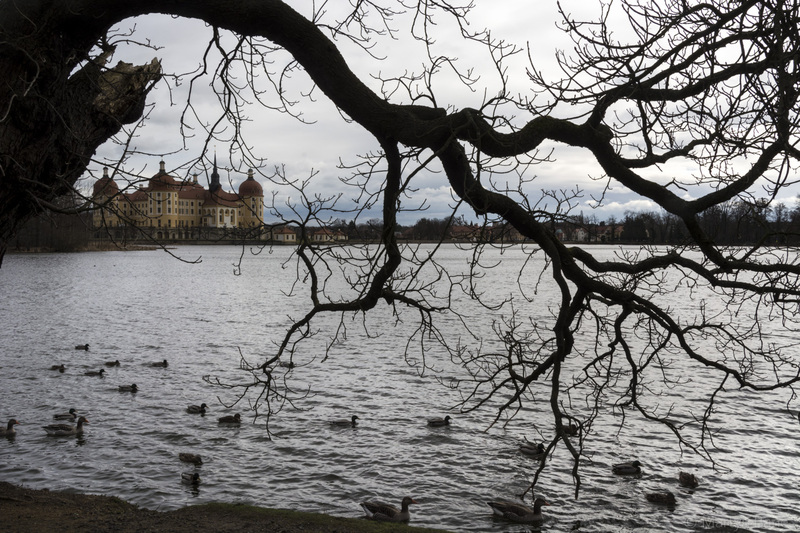 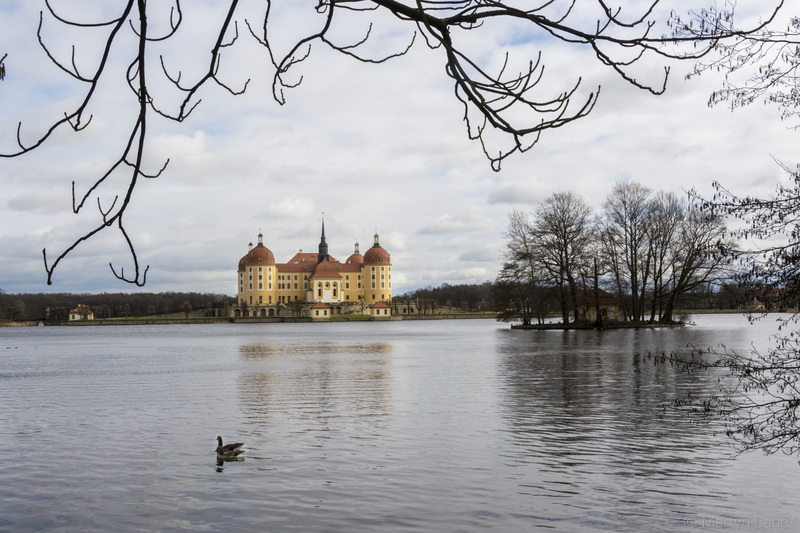 31 Moritzburg Castle and surrounding castle pond. 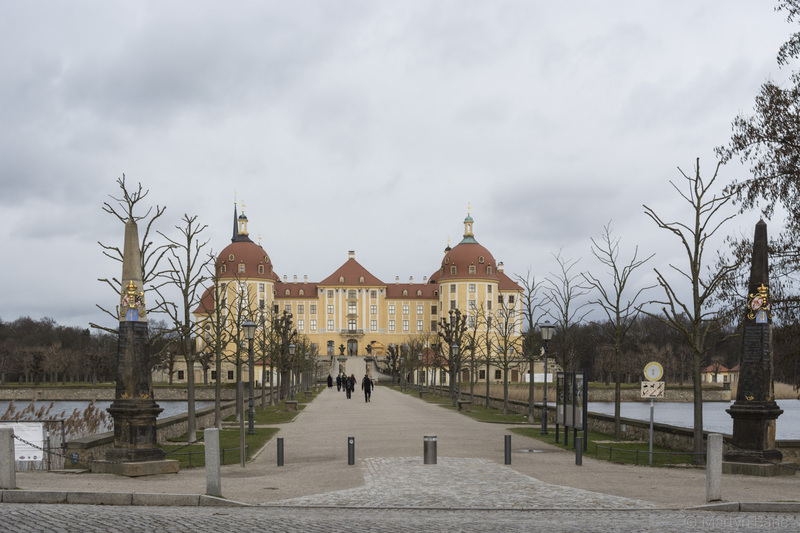 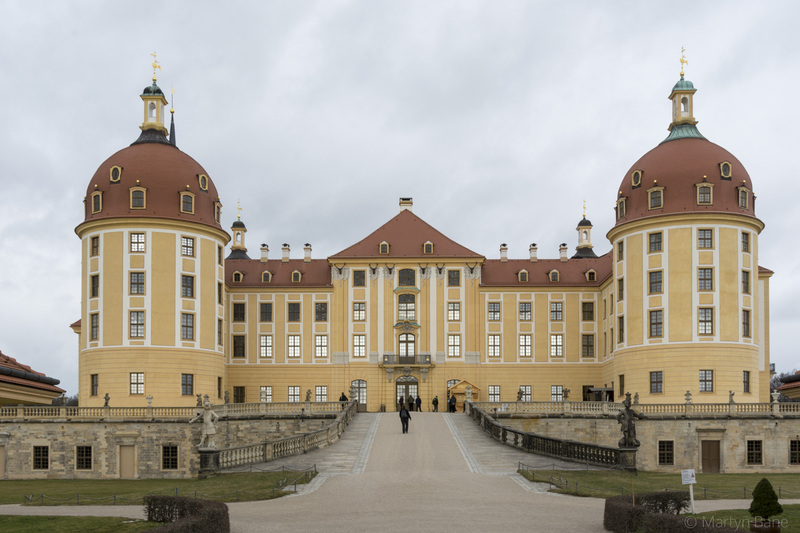 32 A touch of brightness illuminates Moritzburg Castle. 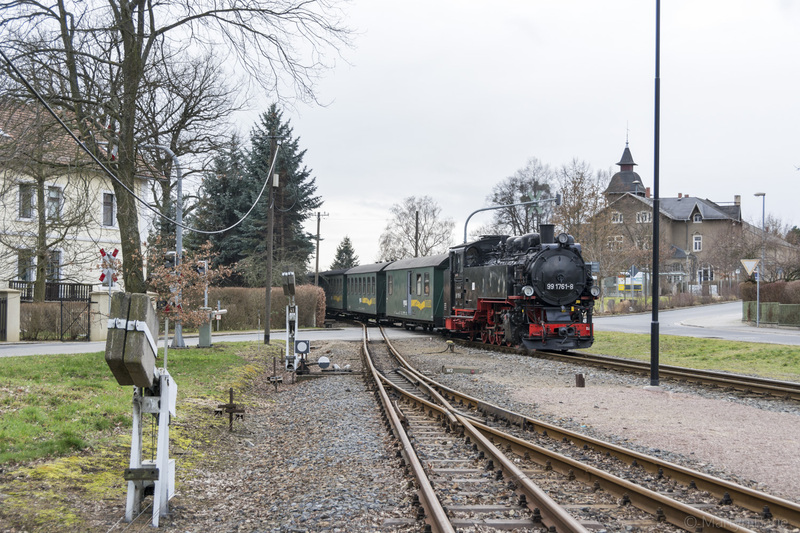 34 99 1761 arrives at Moritzburg with the 12:56 from Radebeul Ost. 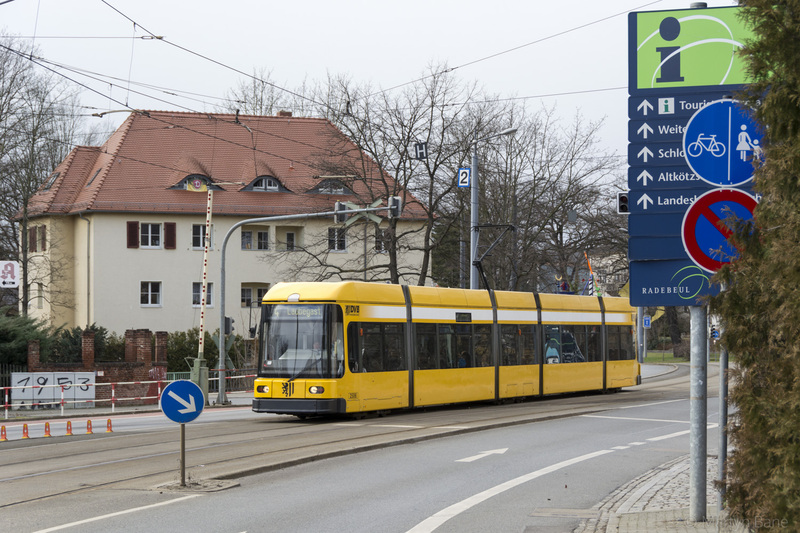 This train terminated here. 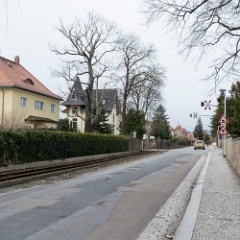 35 Streetside running in Radebeul. 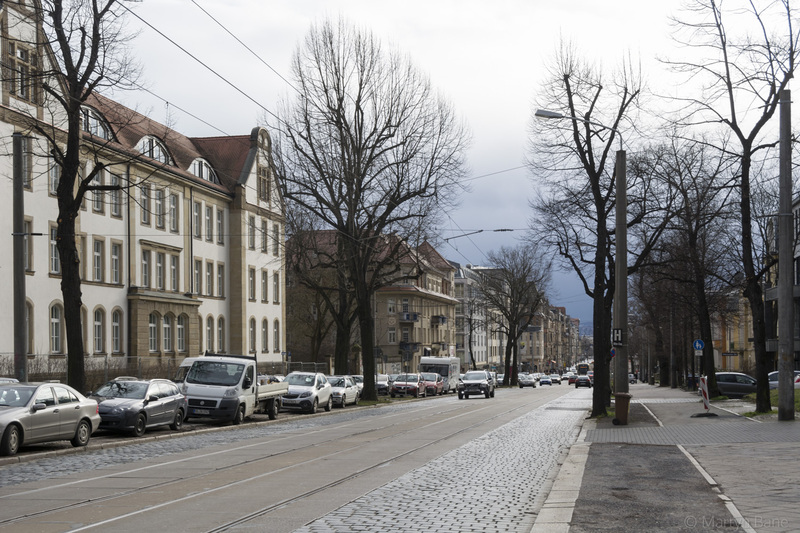 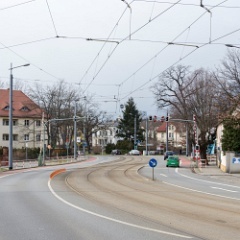 36 At Weisses Ross with the road, tram tracks and, cutting across both, the Lossnitzgrundbahn. 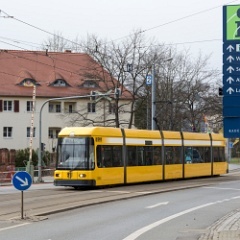 37 A route 4 tram at Weisses Ross. 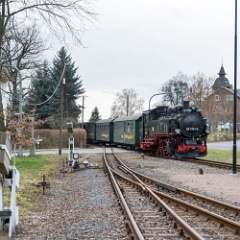 38 Weisses Ross station with children from the local school waiting for the steam train home. 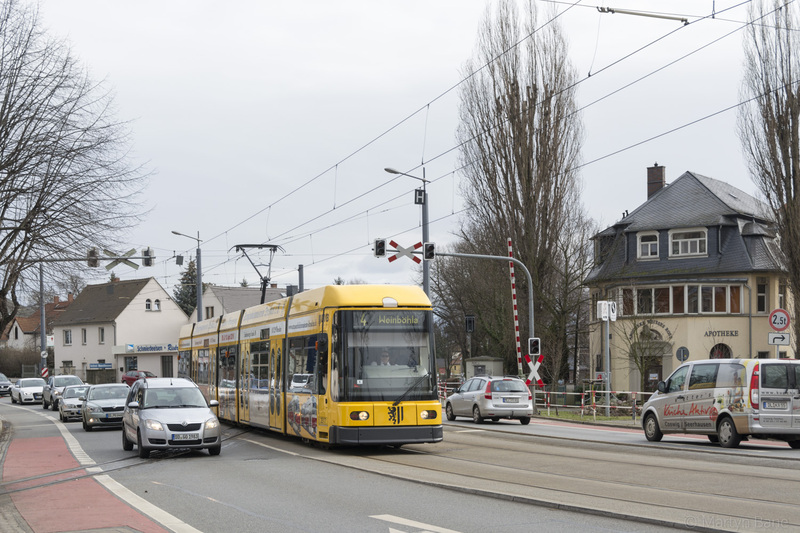 39 As cars and a tram wait 99 1761 crosses the road aproaching Weisses Ross station with the 14:26 from Radebeul Ost to Radeburg. 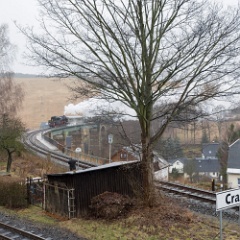 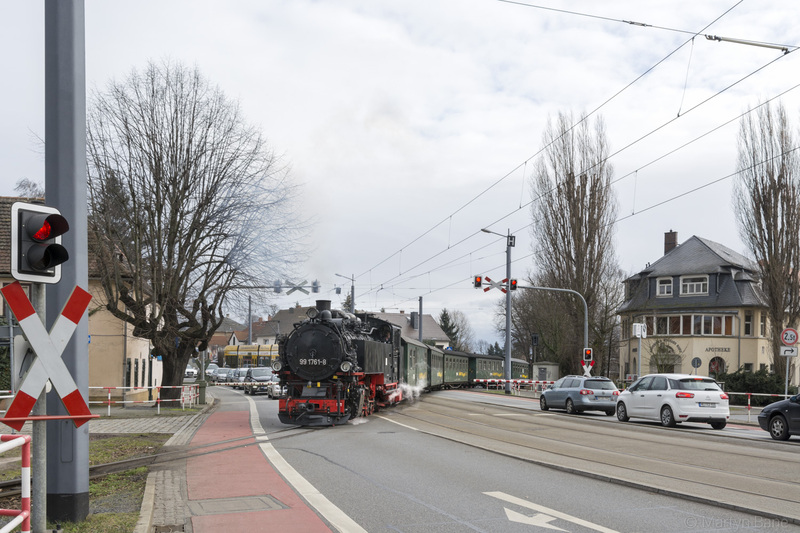 40 99 1761 on Weisses Ross crossing. 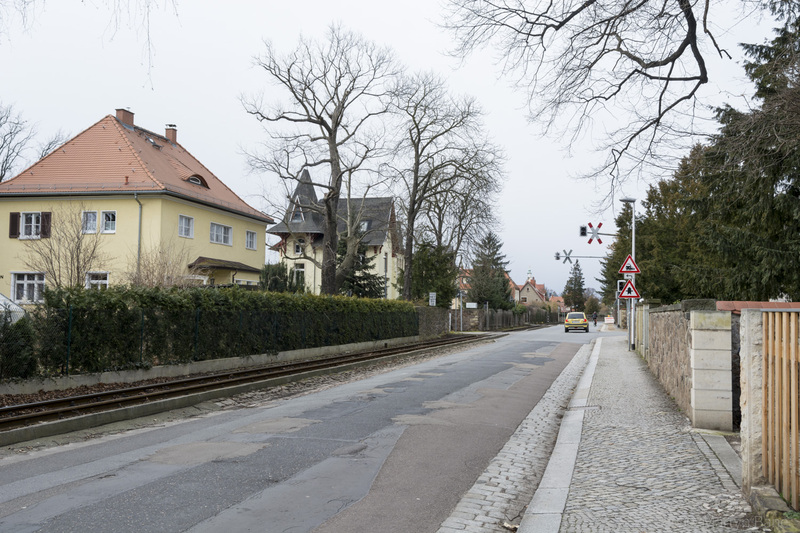 Since my first visit here, in 1996, the railway has been realigned a little. 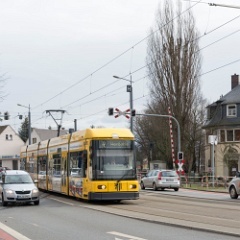 41 Route 4 tram crosses the railway at Weisses Ross. 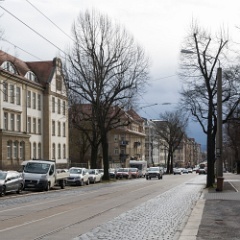 42 A street view in Dresden Neustadt.